This Cart is the perfect complement for retailers building “green” stores! Our environmentally friendly shopping carts are made with recycled plastic. Plastic Grocery Carts will be rust-free forever. Carts are great for coastal areas where sea salt air is prevalent. Plastic construction means less damage to cars and store fixtures. Operates more quietly than metal carts and new bottom tray design helps reduce water retention. 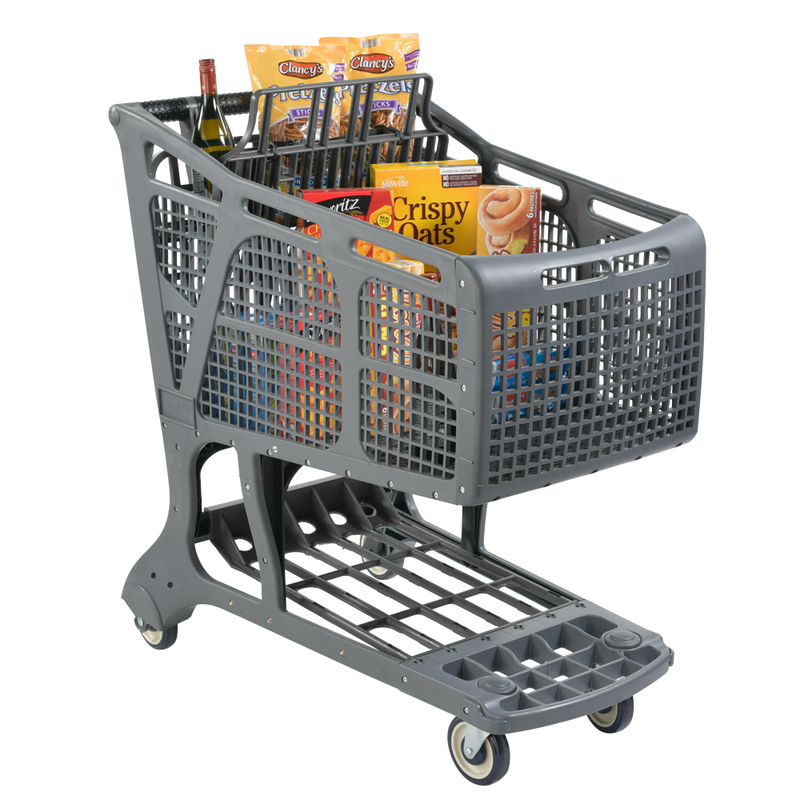 When carts are nested, the back wheels lift off the ground for easy handling and less wear and tear on the wheels. Basket capacity 11,575 cubic inches. Made in the USA. Plastic shopping carts main color and accent color is Gray. Other accent colors in Red, Green, and Navy Blue are also available.